Our Google Home Mini got seconded into my Little One’s room and it is a perfect place for it. Not only does my Little One use her Google Home Mini a lot, meaning multiple times every single day, but it has saved me from having to be a weather person, an encyclopedia, an alarm clock, and more. So what is Google Home Mini? It is a smart little speaker that has Google Assistant built in. 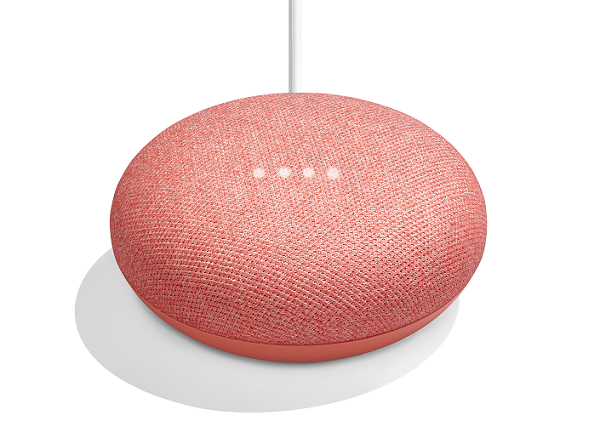 So whenever you need to know something like say…the weather, want a song played, want to hear a knock-knock joke, need to who the highest paid player in the NHL is, when the Predators play next, set an alarm, have Happy Birthday played because it is your birthday, and so very much more, Google Home Mini is there waiting to assist you. The Google Home App is available in the Google Play Store and in iTunes for Apple devices. We subscribe to Google Play Music so we have all the music we can ever want at all our fingertips. We have the family library so with my one subscription, all my family members can access Google Play Music’s library for unlimited music listening session at any time. With a tween in the house, unlimited music through Google Play Music is a money-saving venture for sure instead of hearing “Mom, can we but *insert artist’s name here* new album?” With one monthly fee very album is at her fingertips. If you want to turn your home into something a little smarter 🙂 then the partnership between Google Home Mini and Nest, Philips Hue, Wemo, TP-Link, Works with SmartThings, Ifttt, Lifx, Legrand, Lutron, Awair, DLink, Deako, Emberlight, Hive, iDevices, iHome Control, Leviton, Mobil Inc, Nanoleaf, NuBryte, Plum, Smartika, Universal Devices, Google Chromecast, Google Chromecast Audio, Vizio, B&O Play, Toshiba, Philips, Sony, Bang & Olufson, Polk, and G&E Appliances are the partners you can check out. Phew! That is one long list of partnerships! Pretty impressive! If you are a need to know the news type of person, the Google Home Mini has a partnership with Lonely Planet. There are also a number of promotional offers that you may qualify for with your Google Home Mini, but I have only been able to find these offers for residents of the United States. 🙁 Being in Canada, I would love to see some offers for us up here. You can check for offers from your computer, Android device, and an Apple device. For kids, Google Home Mini can be a lot of fun, whether they are by themselves and chilling to music or with friends and wanting to play games. But really, Google Home Mini is for all ages and stages of life. Google Home Mini also comes in a charcoal, chalk, and the coral that we have. 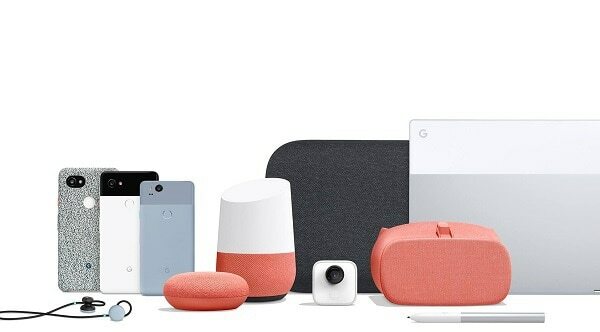 So whether you want your Google Home Mini to blend in or stand out, there is a great color available for your style. Google Home Mini can also be controlled not only by your voice but the volume can be turned up and down by tapping the left or ride side of the unit. Music can be started or stopped with tapping the left or ride side of the unit as well. You can also mute the mic to Google Home Mini by sliding the switch on the side of the unit. Once Google Home Mini is up and running it is an amazing assistant to have around. My Little One is in love with her Google Home Mini and I want one in my room. Google Home Mini is a lot of fun, a great assistant, handy to have, and something anyone at any age can use. We recently even got a Google Home Mini for my dad and both my mom and dad are in love with their Mini. With Father’s Day around the corner and school graduation coming up, a Google Home Mini would be the perfect gift. Until May 24th, you can purchase two Google Home Minis for $99! It is a great saving and we have found that once you get one Google Home Mini, your desire to grow your number of Google Home Minis in the house grows. The Google Home Mini $99 sale for 2 is available online at the Official Google Store and shipping is free for orders over $49. Buy two (2) Google Home Minis for $99, usually $158 for two (2). Our offer starts on 11 May 2018 at 12.00 a.m. PT, and ends on 24 May 2018 at 11.59 p.m. PT. Offer is available to Canadian residents aged 13 years or older only, and not valid in Quebec.